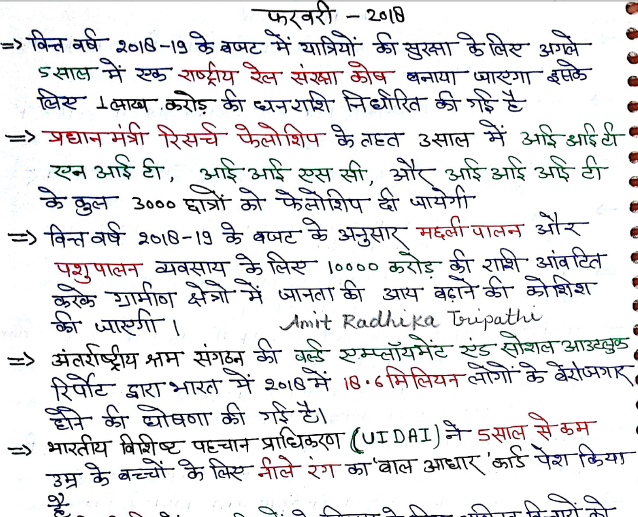 Hello Friends, Today we are sharing with you February 2018 Current Affairs Handwritten Notes Hindi PDF. This is pdf compiled by Mr. Amit Radhika Tripathi and credit goes to them. This notes is very useful for upcoming exams like UPSC, SSC and competitive exams. You may download pdf from the link provided given below.